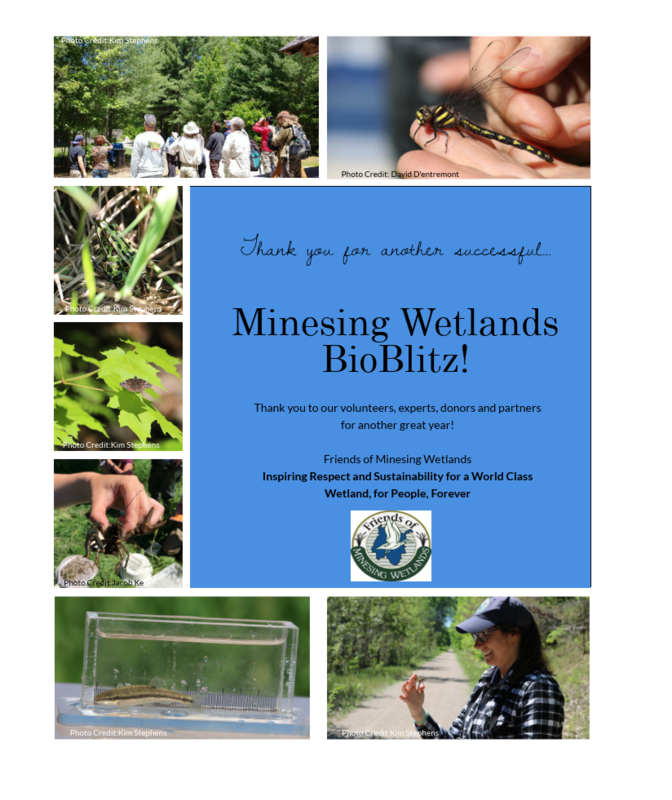 The Friends of Minesing Wetlands presents this ​exciting evening on the science and stewardship of the internationally significant Minesing Wetlands. Local experts will discuss the ecology, hydrogeology and forest health of the Minesing. Special presentations include a discussion on the rare Hine’s Emerald Dragonfly and land securement and stewardship activities within this special part of our watershed. Doors open at 6:30 p.m. and presentations begin at 7:00 p.m. A suggested donation of $10 may be made at the door. With limited seating available preregistration is encouraged. Click below to register via Eventbrite. Categories: Education and Outreach, Science, Stewardship | Tags: education, FOMW, Minesing Wetlands, science, stewardship | Permalink.